Spinal stenosis is a condition that develops due to the narrowing of the spinal canal, which causes spinal cord and peripheral nerve impingement. This process results in chronic pain and decreased mobility within the body’s lower extremities. Although spinal stenosis can occur as a congenital condition (a condition detected at birth), it most commonly develops in older patients who have a degenerative disease. People diagnosed with hypertension or scoliosis have been categorized to be predisposed for spinal stenosis. 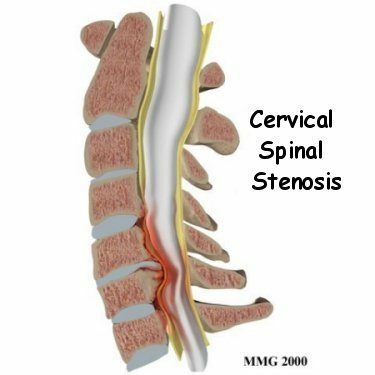 In some cases, spinal stenosis can occur as a congenital condition, which means that a person is born with a narrowing of the spinal canal. More frequently though, degenerative conditions of the spine are responsible for the development of spinal stenosis. Factors such as being overweight, having unbalanced alignment, poor posture, overextending the back and spine on a day to day basis, and a history of back pain or injury can result in the condition. People who have had family members with spinal stenosis or chronic lower back pain are thought to have an increased risk due to heredity. Non-surgical forms of treatment are commonly recommended and have been found to be effective in spinal stenosis patients. Non steroidal anti-inflammatory drugs (NSAIDs) and opioid medications are often prescribed as part of a daily treatment regimen. In addition, therapies such as epidural steroid injections, adhesiolysis, and spinal cord stimulation have proven to be successful. Patients sometimes prefer alternative treatments that do not require prescription medication. 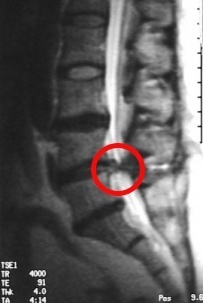 Techniques such as acupuncture, dietary changes, massage, and yoga have shown to have a positive effect on spinal stenosis. Alternative therapies are also beneficial to patients who are unable to undergo surgical treatment due to existing health conditions. Aalto TJ, Malmivaara A, Kovacs F, et al. Preoperative predictors for postoperative clinical outcome in lumbar spinal stenosis: systematic review. Spine (Phila Pa 1976). 2006;31:E648–63. Atlas SJ, Delitto A. Spinal stenosis: surgical versus nonsurgical treatment. Clin Orthop Relat Res. 2006;443:198–207. 3. Ciol MA, Deyo RA, Howell E, et al. An assessment of surgery for spinal stenosis: time trends, geographic variations, complications, and reoperations. J Am Geriatr Soc. 1996;44:285–90. Deyo RA, Gray DT, Kreuter W, Mirza S, Martin BI. 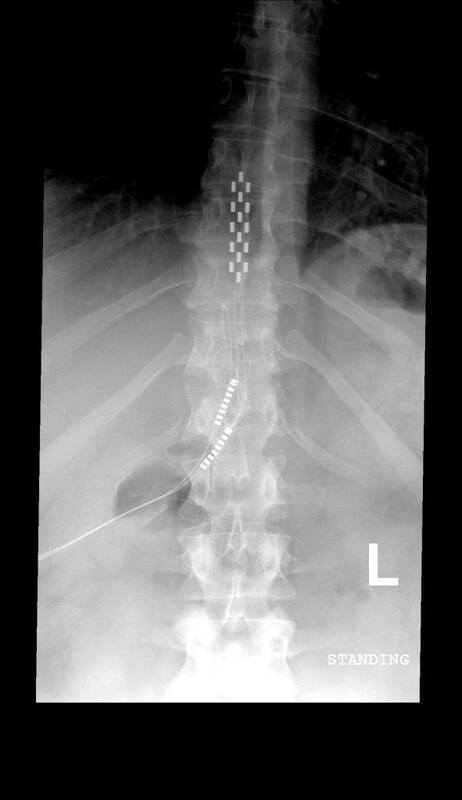 United States trends in lumbar fusion surgery for degenerative conditions. Spine. 2005;30:1441-1445. Kapural L, Mekhail N, Bena J, et al. Value of the magnetic resonance imaging in patients with painful lumbar spinal stenosis (LSS) undergoing lumbar epidural steroid injections. Clin J Pain. 2007;23:571–5. Lebude B, Wang D, Harrop JS, et al. Clinical survey: patterns of utilization of lumbar epidural steroid injections by a cohort of spinal surgeons. PM R. 2009;1:329–34. Mirtz TA, Greene L. Is obesity a risk factor for low back pain? An example of using the evidence to answer a clinical question. Chiropr Osteopat. 2005;13:2.